← Everybody’s favorite Aloo Matar! Perfect combo – Puri & Vegetable Saagu! Favourite among the kannadigas, the Vegetable Saagu is best served with Puris, Set Dosas or Rava Idli. Mom would make this on Sundays and we would just love it. She learnt most of the South Indian dishes from her childhood friend Sandhya who is also a great cook. Do make this on weekend and relish every bite! Here’s how you can make hot puris! Mix the flour and salt in a large bowl. Add water little by little to form a medium soft dough. Mentioning it as medium soft, as the dough should not be too stiff or soft. The secret of soft puris lies in the way you knead the dough. Add 2 tsp of oil and continue kneading till the dough is smooth and has the right softness. Keep aside covered for 30 minutes. Divide the dough into lemon sized balls. Roll these balls till they are smooth and make sure there are no cracks. Roll them into circles using a rolling pin. 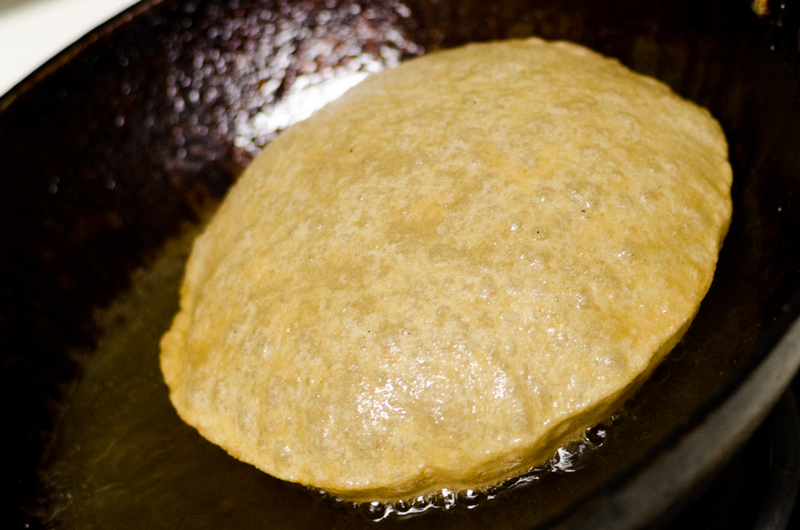 Let the circles be of medium thickness which helps in making puffy puris. Heat oil in a wok enough for deep frying on medium flame. Deep fry the puris one at a time, pressing it under oil with a slotted spoon until the puri puffs up. Turn and cook on the other side. Serve hot with any side dish of your choice. Grind together all ingredients from Fried gram to cinnamon with very little water. Heat oil in a Kadai. Add mustard seeds, after they splutter add urad dal, chana dal and curry leaves. Add onions and sauté on medium flame till translucent. Add the ground masala, coriander powder, turmeric powder, salt as required and fry well for sometime until raw smell goes. Add all the vegetables and fry. You can add vegetables according to your choice. 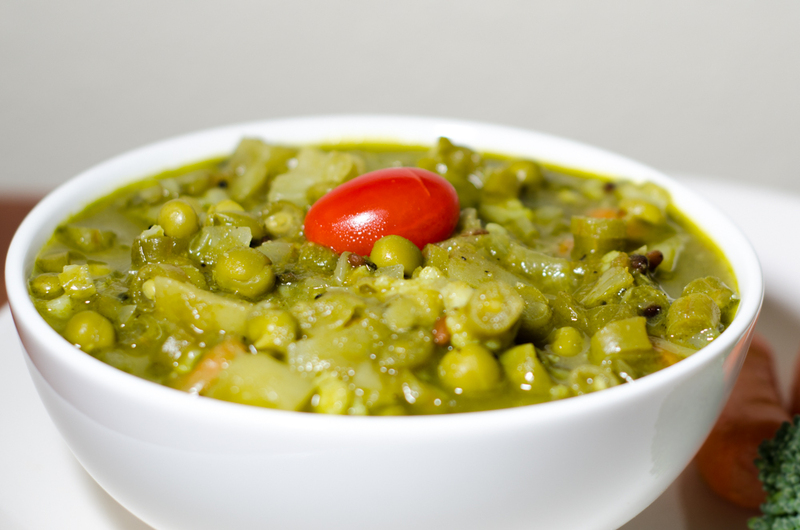 Mom used to say not to omit chowchow/ chayote as it gives a very good taste to the Saagu. Add water and cook until the vegetables are done. For faster cooking, use cooker and cook for 2 quick whistles. Make sure not to over cook the vegetables. Serve hot with Puri , Set Dosa or Rava Idli. This entry was posted in Vegetarian and tagged breakfast, Dosa, Indian cuisine, puri, Rava Idli, saagu, south indian dish. Bookmark the permalink. Nice one! Thank You for sharing!